In a city so dominated by Irish pubs that they made a show about it, it’s not always easy to play favorites -- or to keep your favorite Irish pub from turning into a free-for-all every weekend. 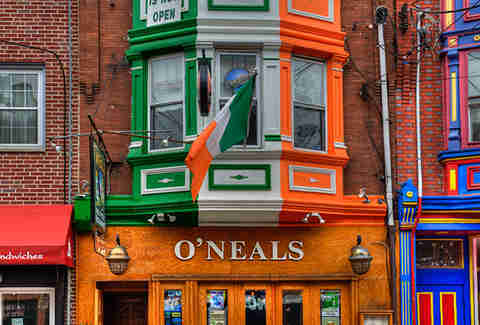 Your gang might not be as rowdy as The Gang, and you might not have a Frank and Charlie passing-out-on-the-same-pullout-couch type of bromance, but there are plenty of real life things to hold onto, like these Irish bars worth going to no matter the chaos level. 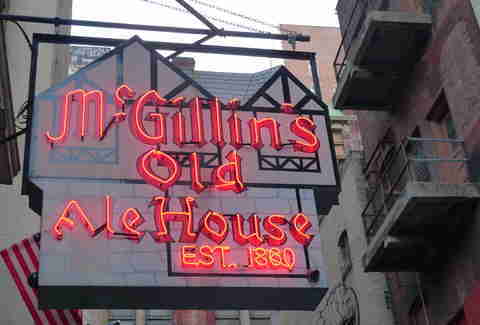 McGillin’s is quick to remind you that it's one of the oldest bars in the country, opening its doors in 1860, the same year Abraham Lincoln was elected. You may be hard-pressed to find any breathable standing/walking/sitting space on a weekend night, but it’s also one of the only places in the US where you can get an O’Hara’s Irish Stout, brewed in Ireland. Even on karaoke night, remind yourself that if this place survived Prohibition, you can survive tone-deaf renditions of the Spice Girls. Fergie’s checks off a number of quintessential things you want from your neighborhood Irish dive: pub fare, local beer, live music, and twice-a-week quizzo. The live music can either mean locals stepping up on open mic night, or traditional Irish music performed every Saturday. Fergie’s also manages to offer a handful of vegan options (hello, seitan wings), which is not something you often encounter in pubs like these. 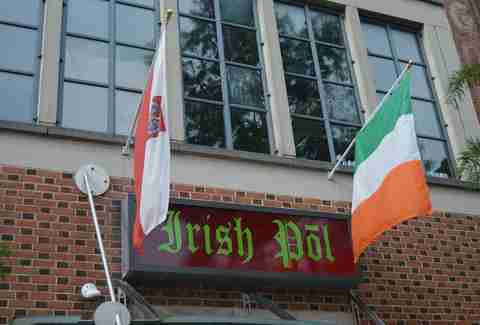 The Irish Pōl recently moved locations to make room for a new 40-tap system and a downstairs bourbon and spirits area. All the other things that make this pub one of the best -- such as hot mustard wings -- also came along for the ride. 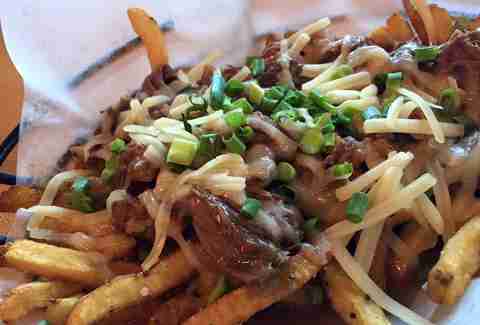 Though the new space is still readapting to find the character that regulars associated with the original, it doesn’t hurt that $5 flight-and-bite nights are now part of the equation. Formerly the Brickhouse before it was torn down to make way for the quaint Irish tavern it is today, Hilltown is a nice break from the populous bars on Main St or Ridge. Head over when the warm weather is in full swing to snag some clutch outdoor seating and Hilltown’s rendition of crab fries. One of the Main Line’s oldest establishments is the family-run McCloskey’s, which opened when Irishman Pat McCloskey bought it in 1934. 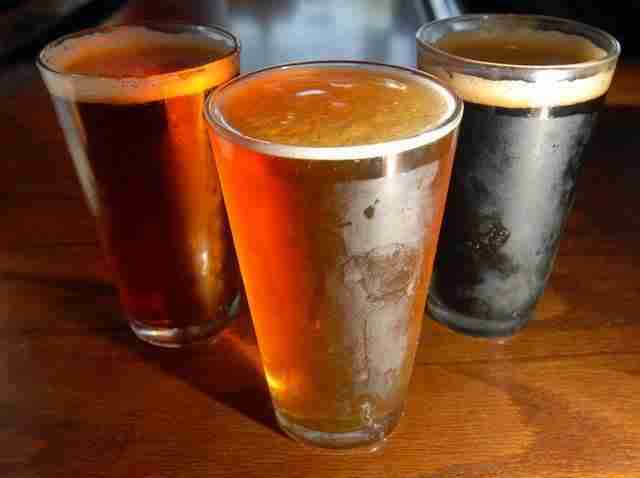 Alternating beers on tap are heavy on Irish, German, and Belgian brews, and the menu does not disappoint, with pan-crusted tomatoes, burgers, and traditional fare like shepherd’s pie and fish & chips. McNally’s opened in the '20s as a pit stop for travelers and operators on the Route 23 trolley, eventually giving the world its signature, now-legendary Schmitter, a steak & grilled salami sandwich, in the mid '60s. All the other things you want and need in a tavern -- tons of fattening sandwiches, and tons of beers on tap -- are also plentiful here. Pete’s is heralded by locals for its dedicated servers and surprisingly packed menu for such a small kitchen. Whether you chill at the bar to watch a game or sit outside and people watch, please, please, please try not to say “For Pete’s Sake!” more than one or two times. 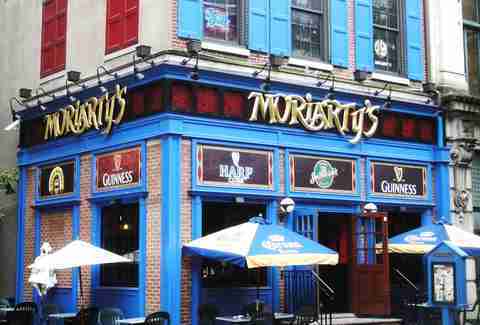 Here are some things you should know about Moriarty’s: one, on more than one occasion, you might find yourself standing outside waiting for a table. Two, if you order the wings, on zero occasions will the wait not be worth it. Hang around for the Guinness beef stew and 30 beers on tap. 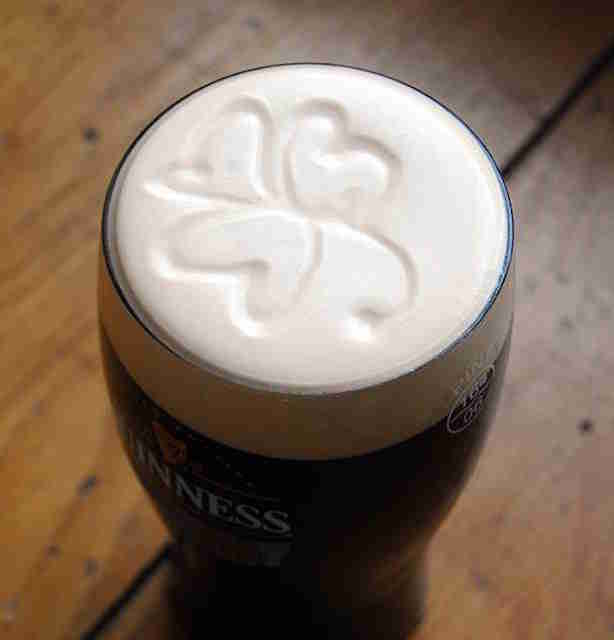 The Bards tries to capture the same camaraderie and friendliness for which Ireland’s pubs are so admired. This formula helps create one of the neighborhood’s best watering holes. 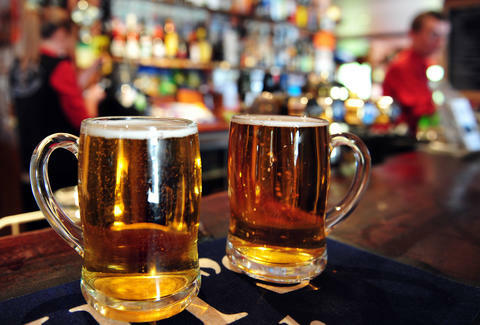 An atmosphere that’s casual but not dingy, lively but not so loud you can’t have a conversation, make it a go-to on your pub crawl. There are few things the folks at O’Neals love more than the regulars and the Phillies. Even for first-time visitors, though, it’s hard not to feel at home drinking a beer ordered from the lengthy bottle list on the back porch. You can also try the seasonal Irish beef stew if you’re craving a traditional bite. The Bishop’s Collar, The Black Sheep Pub, and (the now-defunct) Dark Horse Pub are all Philly pubs not to be overlooked, but think of St. Stephen’s Green as the ultra-Irish culmination of them all. The owners of those pubs joined forces, putting beer at the forefront in 12 taps and more than 50 bottles ranging from microbrews to imports to local favorites. The seven-cheese Irish bacon grilled cheese is worth a try, and brunch alert: There is brunch. You love brunch. Marielle Mondon is a writer from Philadelphia who just found out Irish potato candy is mostly a local thing. Follow her other discoveries @MarielleMondon on Twitter and Instagram.